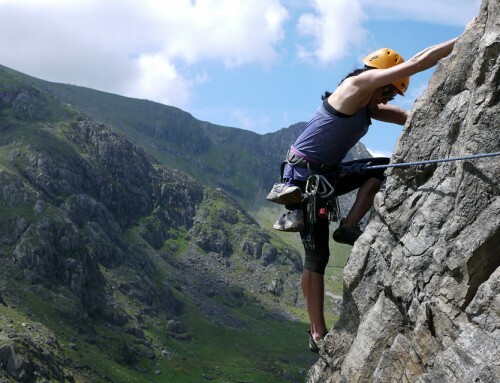 This course is anyone who is seconding Very Severe climbs or above and fancies a week of climbing on some of the best mountain crags in the UK. This is a week long rock climbing trip and the idea is to spend each day climbing big multi pitch mountain routes from V Diff to Very Severe, or perhaps harder if you fancy it. We will also look at spending a day on the sea cliffs and bad weather days can be spent doing some of the classic scrambles on the Cuillin Ridge. Routes that we could do include several up onto the Cioch, Integrity (my favourite Hard Severe in the World!) Shangri La VS4c, Spantastic at Flodigarry, Rib of Doom on Sron na Ciche, The Inaccessible Pinnacle and many, many more. 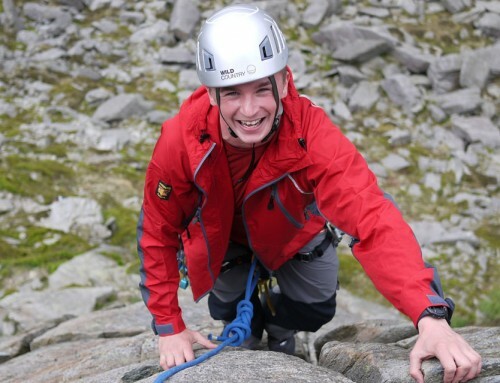 We provide all of the specialist equipment such as ropes, harnesses, helmets and the climbing rack. If you have your own kit you are welcome to use it. We will provide you with a detailed kit list when you book on the course. You can read our “whats included” and kit list page here. We do not include accommodation with this course. We recommend the Sligachan Hotel which has comfortable bunkhouse accommodation with open fire and self catering accommodation for £10 per night or Bed and Breakfast in the Hotel itself. The hotel is famous for its range of over 65 malt whiskies! More details can be found at www.sligachan.co.uk or you can call them on 01478 650204.